The United States reported cases of outbound international parental child abduction declined by 12.23% according to statistics supplied to the United States Congress by the United States Department of State. The drop in the abduction rate marks the fourth consecutive year the number of American children victimized by international child abduction has declined. During fiscal years 2009 through 2013 the total abduction rate has declined by 38.06%. The reported drop in American child kidnappings is an anomaly in comparison to the existing worldwide growth of international parental child abduction cases that is nothing short of a pandemic. On behalf of my I CARE Foundation colleagues and the families around the world we have assisted, I would personally like to acknowledge all individuals who have worked to protect children from abduction. I would also like to acknowledge the remarkable efforts and leadership in the area of governmental advocacy displayed by the United States Department of State's Office of Childrens Issues, who, over the past three years in particular have made great strides in protecting American children from abduction. There is a reason why American children are being protected, and it begins with the Office of Childrens Issues. Additionally, the effort to protect children includes the many stakeholders, including other non-government organizations and their respective teams who have worked tirelessly to protect children and targeted families. It has only been through a collective effort by all advocates that the mountain of abduction here in the United States continues to be pushed back. 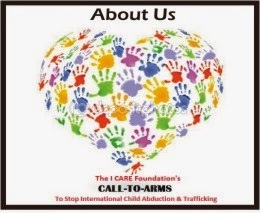 Finally, I would like to acknowledge all my colleagues at the I CARE Foundation around the world for the tireless efforts that have been put forth over the years since we actively began working to protect children from kidnapping. It is not coincidental that since we began our work to protect children from abduction that there has been a four-year consecutive decline equating to a 38.06% reduction in the United States international child abduction rate. We acknowledge the 12.23% decline in the outbound abduction rate of American children that took place in 2013. However, truth is that this is not enough. Far from it. Additionally, there is a pandemic occurring worldwide that is destroying innocence. And it must be stopped. 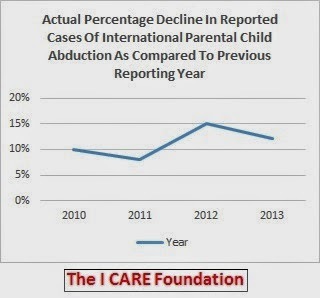 The 2013 reported number of outbound cases and actual number of reported child victims of international parental child abduction originating from the United States has significantly declined during 2013. Remarkably, this is the fourth consecutive year in a row (reporting years 2009-2013) that the United States international parental child abduction outbound rate has declined. According to the 2014 Department of State’s Hague Compliance Report to Congress, there was a 12.23% decline in the actual number of reported child victims of international parental kidnapping representing a reduction of 140 children. In addition, there was a 12.14% decline in the number of reported cases of abduction representing a caseload decline of 97 cases. The decline in the reported cases and number of child victims being removed from the United States is an anomaly: worldwide the vast majority of countries reporting incidents of international parental child abduction as defined by the 1980 Hague Child Abduction Convention continues to surge at pandemic rates, with the average annual child abduction growth rate forecasted at over 20% per year. Despite the significant decline in the reported outbound decline in the abduction rate of American children originating from the United States, we caution that international parental child abduction (herein referred to as ‘IPCA’) remains a severe, highly abusive, and potentially deadly crime that targets thousands of American children and hundreds of thousands of children around the world each year. The fact remains that IPCA is a highly abusive criminal act against a child that places the child in great physical and emotional danger, and could jeopardize the child’s life. In the United States and abroad our reality remains child-citizens continue to be criminally kidnapped, illegally removed overseas, and wrongfully detained in foreign countries in shocking numbers by their non-custodial parent. The significance in the 12.23% decline in individual cases of IPCA during 2013 should not be minimized, nor should the remarkable 38.06% reported decline in the number of reported individual outbound cases originating from the United States over the past four reporting years (2009-2013). In fact, statistically these are remarkable gains and exemplify the tremendous leadership and dedication first and foremost demonstrated by the Department of State’s Office of Children’s Issues, the Department of Homeland Security, and the Department of Justice combined with a collective array of child abduction prevention stakeholders who have had a significant impact not only raising awareness amongst potentially targeted families of abduction, but who have created or helped create new laws, policies, or protocols capable of stopping international parental child abduction. The fact the United States IPCA rate continues to decline despite heavily contradicting global trends found in other nations combined with increases in the population, including growth amongst the immigration migration sector, clearly indicates the immense efforts put forth by stakeholders working to stop child abduction is working. Nevertheless, there is a great deal that can and must be done to better protect at-risk children while also increasing efforts to reunite abducted children. On a sober note, we acknowledge that fewer child victims of IPCA come home to their country of original jurisdiction and the 1980 Hague Child Abduction Convention process is taking longer than in previous years. Neither the failure to return children or the long delay times related to litigation are country specific: these are internal issues for every country and are not specific challenges faced solely by American citizens, but by all left behind parents. Thus, we re-emphasize our belief that the most efficient way to protect a child from IPCA is to prevent their abduction from occurring. A look at the previous years statistics tells a compelling child abduction prevention effort taking place in the United States of America. Specifically, during 2013 there were a total of 702 reported cases of international parental child abduction representing 1004 children. Previously, during 2012 there were 799 reported international parental child abduction cases filed with the United States Central Authority representing a total of 1,144 children. In 2011 there were a total of 941 reported international parental child abduction cases filed with the United States Central Authority, representing a total of 1,367 children. In 2010 there were 1022 reported cases of international parental child abduction representing 1,492 children. And in 2009 there were 1,135 cases of international parental child abduction representing 1,621 children. When considering previous extensive growth in the United States reported outbound cases of IPCA coupled with the reality that cross-border child abduction continues to surge worldwide, the decline in the outbound abduction rate of American children is noteworthy. In fact, the reported number of individual child victims of IPCA declined in 2010 by 8% (1,492 child victims from 1,621 child victims reported in 2009), 8.49% in 2011 (1,367 children), to a landmark decline of 16.3% in 2012 (1,144 children), followed by a 12.23% drop in 2013 (1,004 child victims). These statistical declines become more apparent when viewing the years collectively. For example, there was a 38.06% decline in the reported outbound IPCA rate over the five-year period of 2009 through 2013. During this five-year period, the number of reported child victims of IPCA declined from 1,621 in 2009 to 1,004 child victims in 2013. This represents a differential gain of 617 children who were protected from IPCA during 2013 in comparison to 2009. In addition, for the same reporting period there was a 38.15% decline in the number of reported family cases of IPCA (Note: a family case may consist of one or more children) representing a remarkable drop of 433 reported cases over the five-year period. A comparative chart below provides further insight on the efforts to protect American children from IPCA taking place in the United States. To put into perspective the significance in the reported 2013 decline in the reported cases of international parental child abduction and the fourth consecutive significant reduction in the cross-border kidnapping rate, it is important to note that previous to the 2009 fiscal year reported numbers, the international parental child abduction rate grew on average by nearly 20% per year the previous decade. In addition, the United States witnessed a yearly increase in population of approximately 2,400,000 people during 2008 – 2013, with an estimated 1,000,000 of these individuals newly arrived immigrants. We take exceptional note to the ongoing increases in the American immigration population due to the fact that many individuals who parentally abduct (referred to as a ‘Taking Parent’) were born and previously raised in a foreign country but relocated to the United States. It is important to note that the unreported cases of international parental child abduction remain a very troubling area not just in the United States, but worldwide. However, we believe that outreach efforts by the United States Department of State, The I CARE Foundation, and the National Center For Missing & Exploited Children are in fact reaching communities who previously would not turn for assistance under the 1980 Hague Child Abduction Convention. And though there is no specific way to determine the unreported cases of IPCA, we believe there has been an increased awareness amongst communities who may previously may not have sought assistance to 1) become more aware of IPCA warning signs, 2) IPCA prevention measures, and 3) to turn to the Department of State’s Office of Children’s Issues for assistance. It is our belief that the previously less proactive communities who may have traditionally believed that they were unable to protect against IPCA have begun to mobilize and become more proactive in protecting their children. It is our assessment that due to the mobilization of parents who may have previously been less active to prevent IPCA, that it is conceivable that the overall reported outbound rate of IPCA (when considering both reported and unreported cases) may have dropped more than the 12.23% reported rate of abduction. 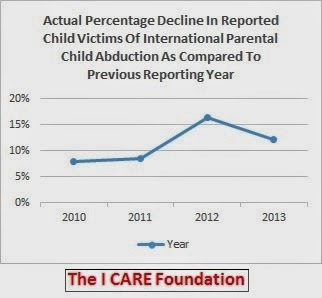 While there is much to be pleased about regarding the significant decline in reported outbound American IPCA rate, the reality is that many children who are internationally abducted do not come home, and the statistical trend of available data clearly demonstrates that the number of children worldwide being returned to their country of original jurisdiction continues to decline. The following chart provides insight on the growing rate of child abduction to the United States. To understand the significance of the United States four consecutive year decline in the reported outbound IPCA rate, it is useful to compare the reported American data with statistical information provided by other nations. We note that global IPCA reporting amongst signatory nations and non-signatory countries to the 1980 Hague Child Abduction Convention remains beyond dismal. In April, 2014, Canada’s Department of Foreign Affairs reported there has been a 40-per-cent increase in the number of international parental child abductions since 2009. Most of those cases involve countries such as the United States, Mexico and those of the European Union that have signed an international treaty called the Hague Convention, which aims to help resolve such emotionally charged incidents. However, there are also a “significant” number involving such countries as Lebanon, India, Pakistan and China, which have not signed up to the Hague Convention, making already complicated cases even more difficult. In November, 2013 Canada created the Vulnerable Children's Consular Unit under the Department of Foreign Affairs in recognition of their growing internal IPCA problem and in an attempt to assist targeted families from the grave ordeal of international child kidnapping. Canada’s Senate’s Human Rights Committee is also studying the Hague Convention in the hopes of providing recommendations to make it work better. Senior leadership from the Hague Conference are expected to visit Canada and provide insight with Canada’s policymakers in the near future. The United Kingdom continues to face a growing problem of IPCA, though, similar to Canada, specific hard data has not been publicly reported. However, according to public statements made by the Foreign Office’s Child Abduction Section in December, 2012, reported outbound cases of IPCA has grown by 88% over the past ten years. This number appears extraordinarily low when considering that public statements by the Foreign Office's Child Abduction Section state that the unit fielded an average of four calls per day to its specialist advice line, more than half of which were new cases during 2011 alone. The Foreign Office also stated the statistics do not represent the total number of IPCA cases because many cases go unreported. Nationalistic prejudices of court systems located in the ‘inbound’ country, whereas, a court may try to protect the abducting parent if that parent is a citizen of the country where they abducted the child to. There are many reasons why the reported United States outbound rate of IPCA is declining. Collectively, the primary reason is that efforts by government agencies and non-government agencies have increased efforts to not only raise awareness amongst potential targeted parents of IPCA, but educational outreach directed toward key stakeholders such as the judiciary, attorneys, law enforcement, and policymakers has made a major difference. The following are some important reasons why outbound cases IPCA is declining in the United States, while inbound cases are rising. The Department of State’s Office of Children’s Issues has become an exemplary child abduction prevention advocacy program under the guidelines available to all Central Authorities under the 1980 Hague Child Abduction Convention. Increased personal, extensive information via the Internet, and public outreach along with the ability to implement and take control of an assortment of abduction prevention programs such as the Passport Issuance Alert Program have been extremely beneficial. Inter-agency cooperation amongst the Department of State and other agencies such as the Department of Homeland Security have been extremely impactful. An example of this type of cooperation is found in the Prevent Departure Program. There is a strong core of NGO activism that has helped raise awareness of IPCA and provided outreach that government agencies are unable to. United States lawmakers and policy administrators are taking a proactive stance against IPCA and this stand is having a trickle down effect amongst other stakeholders including judges, law enforcement, and child therapist, etc. The social media blogosphere of parent-bloggers has increased awareness of IPCA. According to leading experts who specialize in international parental child abduction, conclusive and unilateral opinion and fact demonstrates that parental child abduction of a targeted child is a cruel, criminal, and severe form of abuse and mistreatment regardless if the child is with one of their (abducting) parents. This includes the illegal act of international abduction, whereas, the child is unexpectedly uprooted from their home, their community, their immediate and extended family, and their country. Sadly, severe short and long-term psychological problems are prevalent for many abduction victims who survive their kidnapping experience. It is commonplace for a child to be emotionally sabotaged, whereas, the abducting parent will try to remove all bonds and attachments the child has with the other parent, thus, removing the child’s right to know the love of the other parent, and keep in tact their own identity. Too many children simply never come home and in certain cases a child’s abduction overseas has led to the death of the abducted child. In June, 2013 the United States Department of Justice issued a report stating that children who are victims of parental child abduction face increased abuse, including severe physical and emotional abuse at the hands of their parent abductor. We strongly point that filicide - parental child murder - is a real threat to all children of abduction. The I CARE Foundation agrees completely with the sentiments shared above. Studies have demonstrated that an unprecedented number of abductions have occurred where one parent took unilateral action to deprive the other parent of contact with their child. The majority of abducting parents will typically use the child as a tool to cause the targeted parent great pain and suffering. Their intent is simple: to make the other parent suffer as much as possible by depriving that targeted parent with the love and connection to their own child. Nearly every published study on this subject has concluded that an abducting parent has significant, and typically, long-term psychological problems and may in fact be a danger to their child. We take the time to acknowledge that in certain cases of parental child abduction, a parent claims to have no other choice but to flee the other parent due to serious, grave, and ongoing forms of abuse. We acknowledge that in many abduction defenses found under Article 13 of The Hague Convention on the Civil Aspects of International Child Abduction, an abducting parent will often claim mental, emotional, and physical abuse by the other parent as part of their defense to sanction their criminal behavior of abduction. However, we must also acknowledge that domestic violence is a very real, measurable, and in many cases, an ongoing crime that has limited law enforcement safety controls. We acknowledge that there are parents who must flee for their and their child’s safety due to failures by law enforcement and courts to protect their safety, combined with an habitual abuser who aims to cause grave hurt to the targeted parent. In addition, and understandably, family abductions occur at a higher rate during times of heightened stress such as separation or divorce and often involve custody issues and visitation problems. The sad fact is that a large number of marriages, estimated to be between 40% and 50%, in the U.S. end in divorce. One of the many considerations that factor into the increase in total abductions indicates that economic difficulties in the United States and elsewhere are a measurable factor in the number of increases in separations and divorces. This added stress can lead to a parental cross-border abduction, particularly since we live in a global society, and the number of international relationships has increased dramatically. While all children can be potential targets of a family abduction, the likelihood increases when that child has a parent with ties to a foreign country. According to the Juvenile and Family Court Journal Vol. 48, No. 2 titled Jurisdiction In Child Custody and Abduction Cases, “Parents who are citizens of another country (or who have dual citizenship with the U.S.) and also have strong ties to their extended family in their country of origin have long been recognized as abduction risks.” This increase in cultural diversity within the U.S. population has created challenges for our existing laws. Many U.S. born children-citizens fall victim to parental abduction when a parents’ union ends. Across the U.S., states are struggling to address their archaic and outdated laws, and establish additional precautions to better protect their child-citizen population. Unquestionably, it is critical that child abduction prevention laws are passed in each state and upheld by the judiciary and law enforcement. Failure to do so will likely lead to the looming disaster that is already upon us. A report compiled by the renowned Washington-based Pew Hispanic Center reports that most immigrant groups are comprised of young families. The likelihood that a child will be born while the parents are present in the U.S. is high. Prior to 2007, data collected on parents of children under 18 only identified one parent, and a second parent could only be identified if they were married to the first parent. Currently, a second parent identifier is considered whether or not the parents are married to each other. The new data more accurately reflects the number of children living in the U.S. with at least one foreign-born parent. In 2008 that meant that 22% of all children in the United States had at least one foreign-born parent. In fact, consider the following statistics compiled by the Center for Immigration Studies in its March 2007 analysis. Immigrants and their U.S. born children under age 18, as a share of population: California – 37.9%, Los Angles County – 50%, New York State – 27.9%, New York City – 46.7% and Florida – 27.9%. It must be noted that although 31.3% of all immigrants originate from Mexico, other countries have significant entry numbers as well. Included in the March 2007 Current Population Survey (CPS) were statistics indicating that 17.6% of all immigrants were from East/Southeast Asia, 12.5% from Europe, 5.5% from South Asia, 3.5% from the Middle East, and Canada at 1.9%. Traditionally, states such as California, New York, Florida, Texas, Illinois and Arizona have had large numbers of immigrants in their population. What is surprising is the trends in migration toward new centers of immigrant growth. The CPS prepared an analysis of states with statistically significant growth in immigrant population between 2000 and 2007. Most notably, Wyoming, which experienced a percentage increase of 180%, Tennessee at 160%, Georgia at 152.1%, and Alabama at 143.6%. The impact of unprecedented increases in immigrant migration is likely to create multiple challenges as states struggle to keep pace with their newest segment of population and their children. Additionally, it has been well established that illegal aliens do not respond to surveys such as the US Census or the CPS. Because the U.S. government does not have accurate records of arrival and departures for individuals present illegally in the country, their numbers must be estimated, as there is no hard data to draw from. However, indirect means for establishing these figures are used, and they must be viewed with a considerable amount of uncertainty. In 2007 CPS, it was estimated that of the approximately 37.9 million immigrants present in the U.S., nearly 1 in 3 immigrants were present illegally. It is important to note this segment of our population when discussing child abduction because when a child is born in the U.S. that child automatically is a U.S. citizen. While the available data gives us fairly accurate figures regarding the number of children born in the U.S. as well as those immigrants who are present legally, a number is impossible to compile accurately in relation to the unauthorized resident population. In regards to children born to illegal immigrants, in the five-year period from 2003 to 2008, that number rose from 2.7 million to 4 million. The report published by the Pew Hispanic Centers reported that nationally the children of illegal immigrants now comprise 1 in 15 elementary and secondary students in the U.S. Additionally, in Arizona, California, Colorado, Nevada and Texas more than 1 in every 10 students in those states are the children of illegal immigrants. The ability of state governments to prevent the abduction of children by family members could be drastically improved by comprehensive legislation. While aiming to protect all children, special consideration must be given to those children who may be at increased risk simply by virtue of their parentage. According to the U.S. Bureau of the Census, the resident population of the U.S. projected up to April 22, 2010 estimated that one international migrant enters the U.S. every 36 seconds. International travel has become commonplace and as more cross-cultural relationships develop children are born. A number of these relationships will end and may result in an increased risk of international abduction of the child. Attempting to retrieve a child who has been abducted and possibly hidden internationally is a near impossibility as a multitude of problems surface in cases such as these. Unfortunately, studies have proved 4 of 5 Americans drastically underestimate the threat of a family abduction. Statistically, it is a sobering thought when you become aware of the vast numbers of children that are criminally abducted each year. Preventative laws are a necessity as an immediate remedy to this unconscionable crime. IPCA remains a serious problem worldwide. The challenges of parental child abduction prevention and reunification have no border. As an organization dedicated to preventing IPCA, we take note of the decline in the 2013 IPCA rate and acknowledge that since the leadership of the I CARE Foundation began extensive advocacy to combat IPCA, the overall outbound rate of IPCA against American children has declined by over 38%. In our efforts to raise awareness of IPCA amongst families worldwide, combined with our efforts associated with utilization of the Prevent Departure Program, the global use of the groundbreaking I CARE Foundation’s International Travel Child Consent Form, and our work to create and implement numerous state laws created to protect children, we believe that there is substantial positive change on the horizon. The I CARE Foundation’s role in fighting IPCA has been measurable. We would also like to acknowledge that as far as working to protect children from abduction all advocates are in this together. There remains a great deal of work to do. The I CARE Foundation has, for the past few weeks, as part of our outreach and education program, been sharing with parents the fact that summer is abduction season! It is the time of year when most international child abductions occur, but in saying that, there are things that parents can do to help prevent these abductions from occurring. First and foremost, any parent that has a child traveling abroad should consider utilizing the I CARE Foundation's International Travel Child Consent Form, which has been hailed by the international legal community as a critical abduction prevention tool. It is estimated that approximately 70% of all international child abduction cases occur when a child is wrongfully retained in a foreign country. 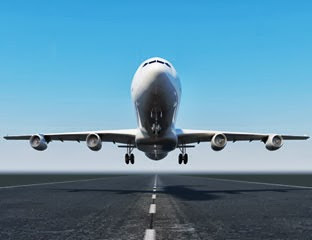 The wrongful retention of a child abroad frequently occurs, to many parents' surprise, during travel under a court order or when travel occurs by mutual parental consent, particularly during the summer school break. Unfortunately, the vast majority of children that are wrongfully detained in a foreign country do not come home. The I CARE Foundation’s International Travel Child Consent Form protects against misuse of all known international child abduction defenses under the 1980 Hague Child Abduction Convention, including Articles 12, 13, and 20, while upholding the intent and spirit of Article 1 of the Child Abduction Convention. As important as protecting your child during travel, another critical key to stopping international child abduction is knowing, and not ignoring, the warning signs that the child's other parent may be planning an abduction, while also knowing exactly what to do in order to prevent the criminal act of parental child kidnapping once an abduction plan becomes evident. One must realize that a parent conspiring to abduct their child creates and executes their schemes in absolute secrecy. The would-be abducting parent does not want the targeted parent to know they are planning a child kidnapping. In fact, concern among would-be parental child kidnappers that their abduction scheme may be exposed prior to being put into motion has increased as society becomes more aware of the abusive, dangerous and wide-spread infestation of child abduction around the world. The reality is, a parent that is armed with the knowledge of what to look for in regards to the risks and warning signs of international parental child abduction, is a parent that is better able to act in a proactive manner by preventing an abduction from occurring. Please consider taking a few minutes and familiarize yourself with the warning signs of international parental child abduction. Please remember, should you have any questions, please consult with a qualified attorney in the state of jurisdiction applicable to you and your child. 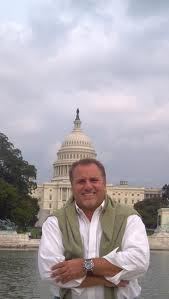 Peter Thomas Senese and the I CARE Foundation’s groundbreaking International Travel Child Consent Form has been hailed by the international legal community, including Hague Permanent Bureau senior officers, as a critically important child abduction prevention tool that ALL parents around the world should use when allowing a child to travel abroad. It is estimated that approximately 70% of all cases of international parental child abduction occur when a child is wrongfully retained in a foreign country. The wrongful retention of a child abroad generally occurs during a court directed travel order or when travel occurs by mutual parental consent, particularly during the summer school break or the Christmas holiday season. However, unknown to the targeted parent who may either travel with the child or who may remain in the child’s country of habitual residency, the scheming parent intending to remain abroad with the child has more than likely crafted a well-orchestrated scheme that includes use of Article 12 and Article 13 of the Hague Convention in order to remain abroad with the child. Unfortunately, the vast majority of children wrongfully detained in a foreign country do not come home. The I CARE Foundation’s ‘International Travel Child Consent Form’ protects against misuse of all known international child abduction defenses under the 1980 Hague Child Abduction Convention, including Articles 12, 13, and 20, while upholding the intent and spirit of Article 1 of the Child Abduction Convention. It is important to ask why the majority of parents are successful in carrying out their scheme of abduction? 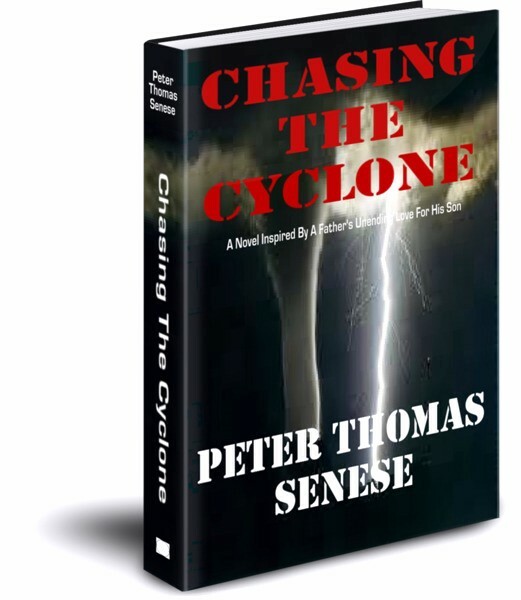 Peter Thomas Senese, the creator of the I CARE Foundation’s International Travel Child Consent Form and the Executive Director of the I CARE Foundation stated, “Perhaps the singular most important factor is that local courts in foreign countries are not abiding by the intent and spirit of the Hague Child Abduction Convention. Specifically, all abductors will make defense claims under Article 12 or Article 13 of the Hague Convention. Article 12 has to do with intent to relocate, and Article 13 has to do with the ‘Best interest of the child’, which recently has been expanded in many courts to include ‘Best interest of the child and extended family’. Unfortunately, Article 13 in particular has become the Achilles Heel of the abduction prevention community. “Hague Conference During Hague proceedings, the convention calls for the inbound country’s Hague Court to look at Article 13 defenses only in extreme cases as the intent of the 1980 Hague Child Abduction Convention is to determine which court has jurisdiction of the child, and then properly and expeditiously return that child to the country where the court of original jurisdiction is located. However, around the world, courts are no longer acting in an expeditious manner as is cited under Article 1 of The Hague Child Abduction Convention. Instead, local courts are calling for detailed findings of what is in the best interest of the child and in essence making their own custody ruling even though they are not the court of original jurisdiction. Problematically, these courts are in essence mooting not only the 1980 Hague Child Abduction Convention but they are essentially quashing the court orders originating from the child’s country of original jurisdiction. “What the I CARE Foundation’s ‘International Travel Child Consent Form’ does is it upholds the intent and spirit of the 1980 Hague Child Abduction Convention, including Article 1’s ‘Expeditious determination clause’. In addition, the travel consent form strongly addresses misuse of Article 12 and Article 13 defenses, and essentially moots use of false claim. In addition, the I CARE Foundation’s travel consent form upholds the sanctity of the court of original jurisdiction located in the child’s country of habitual residency. In essence, the I CARE Foundation’s ‘International Travel Child Consent Form’ is the only global child abduction prevention tool that safeguards against misuse of the Hague Child Abduction Convention defenses and calls for the immediate return of a child if that child is wrongfully detained by mutual consent of both parents. Summer is quickly approaching, and with that, the I CARE Foundation sees a drastic increase in the number of children that are targeted for international parental child abduction. In fact, the summer season, when children are on their school break, is the most prominent time of the year for international abductions to occur. Most often we see families travelling abroad as part of summer plans, but the would-be abducting parent doesn't consider this a family vacation, rather they use it as an opportunity to abduct their child. When it comes to parental child abduction, the warning signs are visible if you know what to look for, but typically the other parent is unsuspecting of any schemes of abduction. Once travel is complete and they are abroad, the scheming parent will often lay a host of criminal charges against the other parent, including domestic, physical and mental abuse, threats of murder, and outlandish acts of child abuse and neglect – all for one purpose: to sever the other parent’s relationship with the child and to gain legal actions to the foreign courts they are now physically located in by having the targeted parent arrested and prevented from seeing either them or the child. Now what most individuals do not realize is that once that child steps foot on foreign soil, that child’s temporary welfare becomes the responsibility of the rules of law and courts of the country they are located in. Which means this: the police and courts must follow the procedures established under their law: the targeted parent more than likely will be arrested, issued restraining orders against them, and have their access to their child denied until an investigation is done. Meanwhile, the abducting parent files a host of legal motions in the country that will further restrain the targeted parent. It is however, not only the summer vacation season that we need to be concerned about international parental child abduction. Parents that are involved in high-conflict child custody disputes, especially those of an international nature, where a child may be travelling abroad - they need to think very carefully and be very aware of the risks involved for their child in relation to international travel. The truth is, international parental child abduction associated with child custody disputes and court orders relating to travel is commonplace. Often, parents involved in international child custody disputes and who may be targeted for abduction think that their child is best protected from abduction when there is a court order in place for the child to return if the other parent is granted travel... but this is just not the case. Unless you have an international travel child consent form that has immediate ramifications attached to it, then a parent and child targeted for abduction are in serious risk. Abduction is never in the best interest of the child. Clearly, the best way to protect a child from abduction is to prevent international parental child abduction. In order to combat international child abduction, the I CARE Foundation created the ground-breaking, Hague-centric International Travel Child Consent Form, which can be utilized to protect against a child’s wrongful detention abroad. Ultimately, the travel consent form helps to ensure the child is returned home should there be an international abduction. With approximately 70% of all international abductions based upon the wrongful retention of a child abroad, the I CARE Foundation’s International Travel Child Consent Form is the most effective tool available to assist parents and children at risk of abduction. Here is a brief Q & A regarding the International Travel Child Consent Form which will help explain why this ground-breaking tool is so critical in the prevention of international child abduction. Q. Why use the I CARE Foundation’s Hague International Child Abduction-centric ‘International Travel Child Consent Form’? A. It is estimated that approximately 70% of all cases of international parental child abduction occur when a child is wrongfully retained in a foreign country. The wrongful retention of a child abroad generally occurs during a court directed travel order or when travel occurs by mutual parental consent. However, unknown to the targeted parent who may either travel with the child or who may remain in the child’s country of habitual residency, the scheming parent intending to remain abroad with the child has more than likely crafted a well-orchestrated scheme that includes use of Article 12 and Article 13 of the Hague Convention in order to remain abroad with the child. Unfortunately, the vast majority of children wrongfully detained in a foreign country do not come home. The I CARE Foundation’s ‘International Travel Child Consent Form’ protects against misuse of all known international child abduction defenses under the 1980 Hague Child Abduction Convention, including Articles 12, 13, and 20, while upholding the intent and spirit of Article 1 of the Child Abduction Convention. Q. Is the I CARE Foundation’s ‘International Travel Child Consent Form’ enforceable in foreign courts? A. Yes. One of the key elements of the I CARE Form is that the document requires an Apostolic Notarization (see information on Apostolic Documentation). The travel consent form must be delivered prior to travel to the consulate or embassy of the country the child will be traveling to that is located in the child’s country of habitual residency as well as a copy sent to the child’s country of habitual residency’s consulate or embassy located in the country they intend to travel to. Q. How difficult is it to have a child who is abducted returned to their country of original jurisdiction? A. One of the greatest challenges all targeted parents face is that it is becoming increasingly more difficult to recover and reunite with abducted children. Statistically, the grave challenges have not been fully revealed primarily due to the vast majority of countries around the world not reporting their abduction rate. In fact, of the 91 signatory countries of the 1980 Hague Child Abduction Convention, only a handful of countries have reported their international parental child abduction statistics. One country that has done reporting is the United States. And as reported in the testimony presented to the U.S. Senate’s Committee on Foreign Relations hearing that took place in February, 2014, approximately 40% of American children abducted to Hague signatory countries are returned home. This number has rapidly declined over the past few years. Additionally, less than 20% of all children taken to non-Hague signatory nations have been returned to the U.S. It is noteworthy to share that excluding the United States, countries that have reported their abduction rate have demonstrated on average a 20% growth in abduction per year. 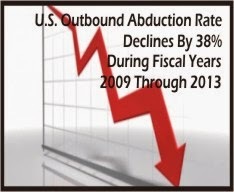 The ongoing global abduction rate increase is in contradiction to the reported U.S. outbound abduction rate, which has declined by 23% during the reporting periods of FY 2011 and 2012. Q. Why is it that the majority of parents are successful in carrying out their scheme of abduction? A. Perhaps the singular most important factor is that local courts in foreign countries are not abiding by the intent and spirit of the Hague Child Abduction Convention. Specifically, all abductors will make defense claims under Article 12 or Article 13 of the Hague Convention. Article 12 has to do with intent to relocate, and Article 13 has to do with the ‘Best interest of the child’, which recently has been expanded in many courts to include ‘Best interest of the child and extended family’. Unfortunately, Article 13 in particular has become the Achilles Heel of the abduction prevention community. During Hague proceedings, the convention calls for the inbound country’s Hague Court to look at Article 13 defenses only in extreme cases as the intent of the 1980 Hague Child Abduction Convention is to determine which court has jurisdiction of the child, and then properly and expeditiously return that child to the country where the court of original jurisdiction is located. However, around the world, courts are no longer acting in an expeditious manner (outside of tribunal courts such as those established in England) as is cited under Article 1 of The Hague Child Abduction Convention. Instead, local courts are calling for detailed findings of what is in the best interest of the child and in essence making their own custody ruling even though they are not the court of original jurisdiction. Problematically, these courts are in essence mooting not only the 1980 Hague Child Abduction Convention but they are essentially quashing the court orders originating from the child’s country of original jurisdiction. What the I CARE Foundation’s ‘International Travel Child Consent Form’ does is it upholds the intent and spirit of the 1980 Hague Child Abduction Convention, including Article 1’s ‘Expeditious determination clause’. In addition, the travel consent form strongly addresses misuse of Article 12 and Article 13 defenses, and essentially moots use of false claim. In addition, the I CARE Foundation’s travel consent form upholds the sanctity of the court of original jurisdiction located in the child’s country of habitual residency. Q. Who has supported the I CARE Foundation’s International Travel Child Consent Form? The judiciary has an absolute responsibility to prevent against international parental child abduction. In cases when a parent wrongfully takes or detains a child in a foreign country without court order or consent society must understand that this is never a child custody case but a case of kidnapping. The grave and severe abuse to children of abduction at the hands of their kidnapping parents is devastating and only now coming into public light. From the I CARE Foundation sponsored conference at the United Nations I participated in, and discussed with Mr. Peter Thomas Senese numerous issues revolving around how we may prevent abduction, I am pleased to share that the ‘I CARE Foundation’s International Travel Child Consent Form’ has the worldwide potential to dramatically reduce global child abduction. This agreement is deep in Hague law, and strikes at the core of abductor statements who may attempt to mislead courts into sanctioning a kidnapping established under the rules of the Hague Convention. I welcome the creation of the Special Commission. If there is no prior attempt at international abduction of a child, it is extremely difficult to convince a court that it is going to happen. 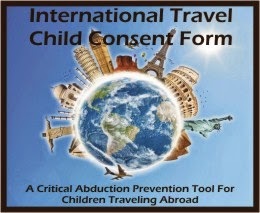 The I Care Foundation International Travel Child Consent Form is a powerful tool for exposing a would-be abductor’s intent. If a parent will not sign the form, we have compelling evidence to present to a court in support of limitations on travel, use of passports, and conditions for access to the child. The creation of the Special Commission is a critical step in furthering the global utilization of the ‘International Travel Child Consent Form’ into courts everywhere. We as lawyers who are on the front-line in the fight to stop abduction not only must embrace this clever and sophisticated tool, but we must share of its high merit with lawyers and the judiciary around the world. If we do, we will prevent many abductions. The positive feedback of the Secretary General is extremely welcome as it highlights the potential of the I CARE Foundation’s ‘International Travel Child Consent Form as an international instrument to prevent and reduce cases of child abduction globally. The I Care Foundation has created a wonderful tool, but it is essential that the judiciary and child abduction practitioners around the world now use the Consent Form in international cases; only then will a body of case law develop in each jurisdiction that will enshrine the importance of the Form and lead to a significant decrease in international child abduction. I welcome the creation of the Special Commission and look forward to sharing our findings with the Hague Conference’s leadership. The creation of the I CARE Foundation Special Commission is a very significant event for it further demonstrates the significant progress of the ‘International Travel Child Consent Form’. There is no question in my mind that when fully implemented, we will see a sizable decline in child abductions. On this note, society must remember that when a parent internationally abducts a child, this is not a child custody case, but a kidnapping. And as reported last month by the U.S. Department of Justice, children who are abducted by one parent face high degree threats of violence and possible murder. I look forward to sharing the findings of the Special Commission with the leadership of the international community. The creation of the new International Travel Consent form is a MUST have, not only for Government Departments, Family Law Attorneys and divorcing couples, but also for INTACT families, and should be kept at the homes of ALL parents to use whenever one or the other wishes to travel alone with their children. Far too often the traveling parent only informs the other, AFTER departure, of their intention not to return the children. Q. Has the I CARE Foundation’s International Travel Child Consent Form Work? A. 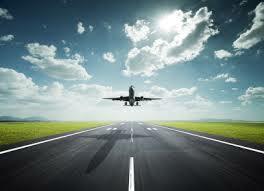 The I CARE Foundation’s Travel Consent Form has been utilized in courtrooms around the world. To date and to the best of our knowledge, every child who has traveled under the form and who has properly executed all the instructions suggested on the form have all returned to their home country of origin. Q. Will the Hague Secretariat Seek To Implement An International Travel Consent Form in the future? A. It is our understanding that the creation of a formal Hague Travel Consent form is a high priority for review of the Secretary General. Q. 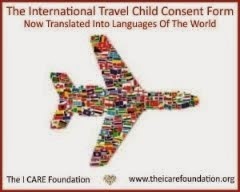 Are there legal briefs and case law analysis available that support the I CARE Foundation’s ‘International Travel Child Consent Form’ and is there a fee for the legal brief? A. The I CARE Foundation has prepared an extensive legal analysis of the travel consent form. The analysis is free of charge. Q. Can the I CARE Foundation’s ‘International Travel Child Consent Form’ be used for travel to non-Hague signatory countries? A. The reality is that children taken to non-Hague signatory countries do not come home. This is a truth that still remains true today. We urge all courts and lawyers considering use of the I CARE Foundation’s ‘International Travel Child Consent Form’ to proceed with great caution when considering allowing travel for a child to a non-Hague country particularly when there are concerns that a child may be wrongfully detained. If there are moderate concerns of abduction, we strongly advise against any type of travel regardless of the use of our travel consent form or not.